Nigeria is a country on the coast of West Africa, bordered in south by the Bight of Benin and the Bight of Biafra (Bight of Bonny), both part of the Gulf of Guinea, by Niger in north, Benin in west, Cameroon in south east, and by Chad in north east by a boundary across Lake Chad. The nation shares maritime borders with Equatorial Guinea, Ghana, and São Tomé and Príncipe. 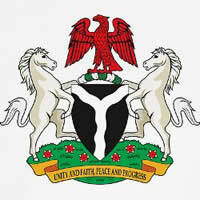 The Federal Republic of Nigeria (its official name) has a population of of 177.5 million people (UN est. 2014) making it Africa's most populous country. Capital city is Abuja located in the center of the nation, while Lagos is the primary port and largest city. The detailed map below is showing Nigeria and surrounding countries with international borders, Nigeria's administrative divisions (states), state boundaries, the national capital Abuja, and state capitals. 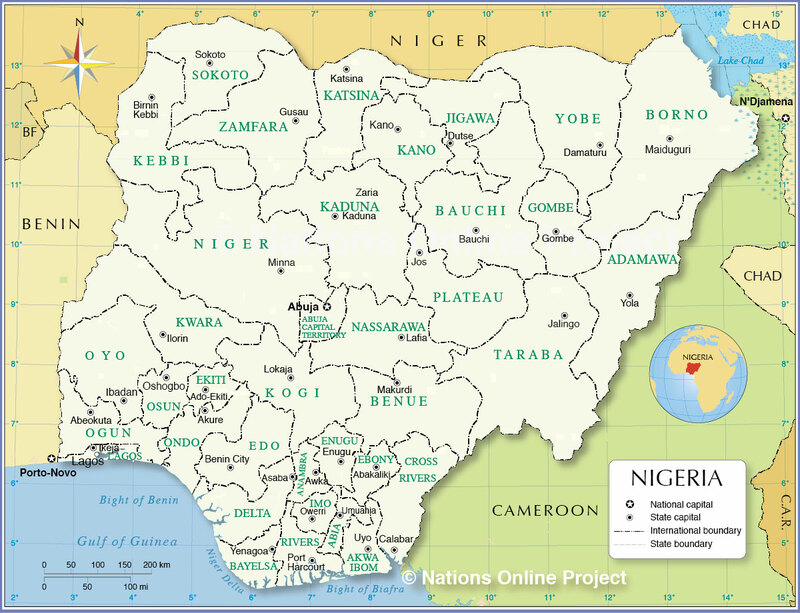 Nigeria is divided into 36 administrative divisions (states) and one federal capital territory.